The British Columbia Provincial Nominee Program (BC PNP) Tech Pilot allows the technology sector in BC to attract and retain the talent it needs to grow the sector further. Launched in 2017, the BC PNP Tech Pilot came about due to the fact that the demand for talent in BC's tech sector is increasing faster than the supply. The initiative supports the attraction of skilled workers and to satisfy the demand for tech talent by expanding BC's talent pool of skilled workers. The BC PNP Tech pilot is being extended until June 2019. Tech employers have access to relevant immigration information. Tech employers have timely access to qualified individuals in the 29 eligible tech occupations. Dedicated BC PNP Tech Team and next business day assignment of tech applications in the 29 occupations. The BC PNP says most applications are processed within two to three months. BC PNP sessions and events tailored for the tech sector, including one-on-one employer support. The BC PNP will issue invitations on a weekly basis to qualified registrants who have a valid job offer in one of the 29 eligible occupations. have 120 calendar days remaining at the time of application. The free registration process includes providing information about the applicant’s supporting B.C. employer. In order to be issued an invitation to apply, both the applicant and his or her employer must meet all program requirements at the time of registration. Meeting these requirements does not guarantee that the applicant will be invited to apply. 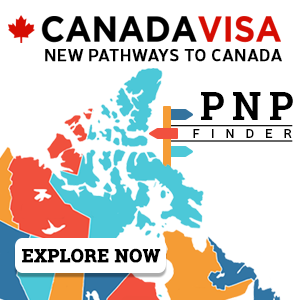 The BC PNP will continue to invite non-tech candidates through its other immigration initiatives. Also, job offers that are for longer than year will continue to be eligible for the BC PNP Tech Pilot. To learn more about immigrating to BC, see our complete BC PNP section. The BC PNP supports employers to attract and retain needed talent by prioviding an expedited immigration pathway for internationally trained workers who have the critical skills, experience and qualifications needed by B.C. employers, as well as international students who have completed their education in BC or elsewhere in Canada and have the critical skills required for BC’s technology sector. Applicants to the BC PNP categories need a full-time, indeterminate job offer from an eligible employer in BC (with the exception of the 29 eligible occupations under the BC PNP tech pilot). The BC PNP offers different categories for individuals under its Skills Immigration Registration System (SIRS), depending on their job, work experience, and level of education education. Once a candidate has determined his or her category, he or she may register online and receive a registration score. Registration is free. Every week (subject to processing capacity), the BC PNP will conduct a tech draw to invite the highest-scoring technology sector registrants to apply. Invited candidates have up to 30 calendar days from the date of invitation to submit a complete online application. The government application fee is $700. The BC PNP will process the application on a priority basis. If approved, the applicant receives a nomination that he or she can use to apply for permanent residence. 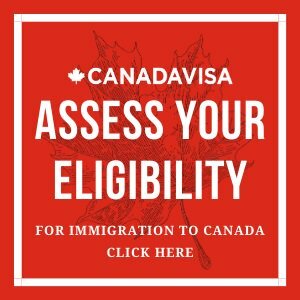 Individuals who have been nominated and who meet the conditions of their nomination will receive a work permit support letter that allows them to obtain or renew their current work permit allowing them to work throughout the process.